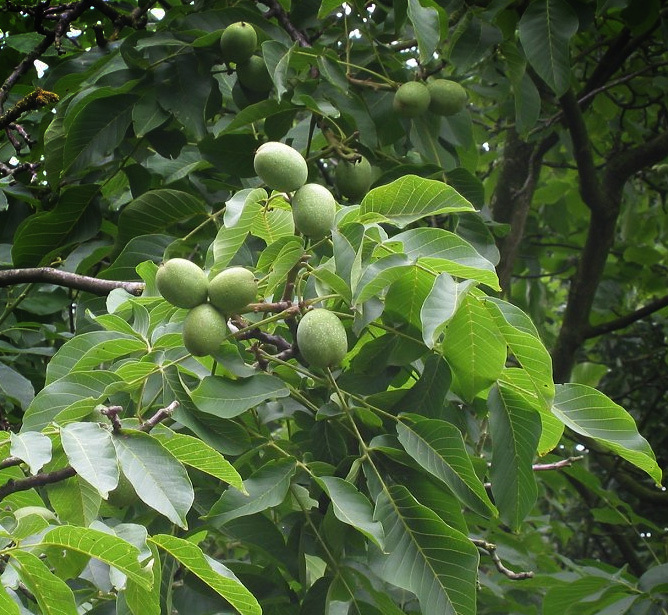 Juglans Regia Walnut Broadview is a self fertile Walnut tree which means it will produce nuts without the need for a pollination partner or for those less gardening minded, just plant it and pick the nuts when you see them. Broadview Walnut is very hardy (a bit like the Rambo of Walnut trees but wont wear an 80's headband and stich up its own wounds). Much of this hardiness comes from it being late into leaf and so is protected from frost making it exceptionally suitable for the UK climate. Under the right conditions, it can start cropping in it's third year. Left to it's own devices it will probably grow to 10m or 30ft (whichever comes soonest) with a spread of around 6m or 18 ft. Both the 7 and 12 Litre are 2-3 years old but the 12 Litre arguably have a larger root system and are typically taller.